Have you exported a document into Xero and you are not sure where it is? It may be that someone has already approved it, deleted it or made an edit. 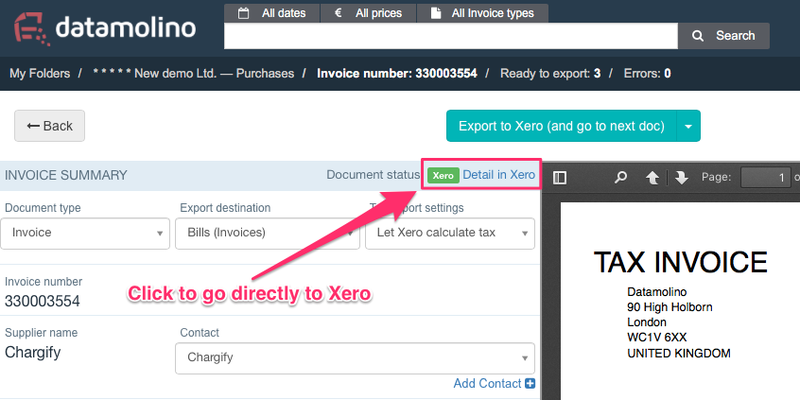 Just click on the "Xero flag" and Datamolino will take you to the document detail directly in Xero. This is also very helpful if your documents have been auto-exported into Xero and have the blue Xero flag in Datamolino. Click on the Xero flag in the document list! You can also click-through from document detail.